Of the administrative side the central laboratories, associated with the Office of Vice –President for Scientific Affairs and postgraduate Studies. 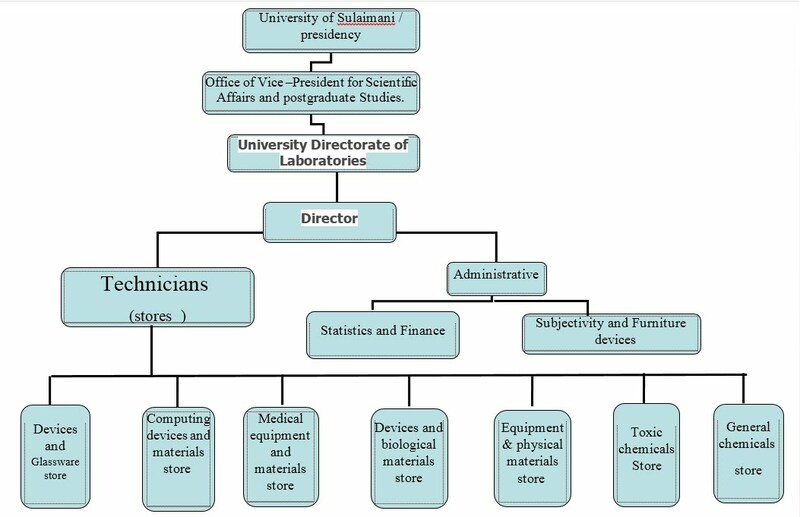 This circuit consists of a director and eleven employees, Founded with the re-establishment of the University of Sulaimani in 1992. Laboratory Directorate office located on the third floor of the Faculty of Medicine Building. The process of storage devices and materials own and distribute to colleges and other units of the University according to demand and need. Order User input and output devices and materials. An annual inventory of the store of the laboratories and audits the annual inventory of the colleges and departments.